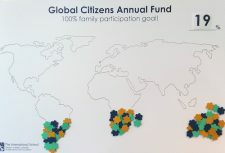 Donate to the Global Citizens Annual Fund this month, and your family is automatically entered into a raffle for a CAMPUS PARKING SPACE to use in November! Our goal is 100% family participation – we’re currently at 19%. Donate today at www.intlschool.org/donatenow to support every student in every classroom every day!